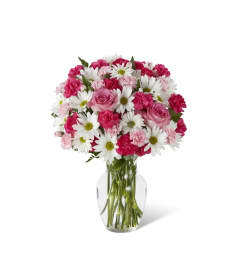 FTD® proudly presents the Better Homes and Gardens® Garden Vista™ Bouquet. 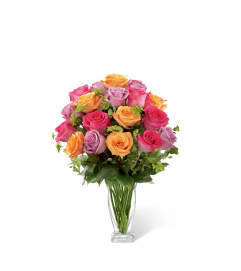 Bring love and light into their day with this exquisite rose and iris bouquet! 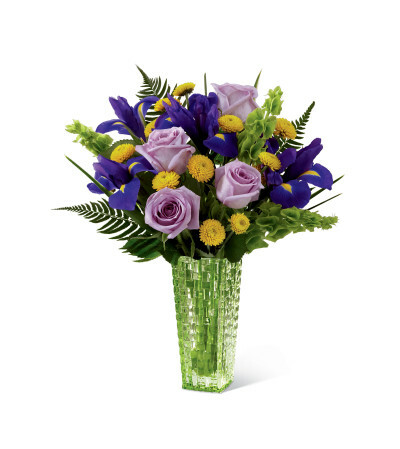 Lavender roses, purple iris, yellow button poms, Bells of Ireland and sword fern are delicately arranged to create an impressive flower bouquet. Presented in a designer green glass vase, this flower arrangement is a wonderful gift set to celebrate a birthday, to offer your congratulations or to extend your get well wishes.